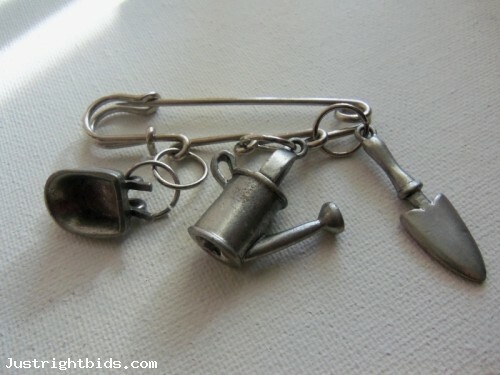 Gardeners Safety Pin with Wheelbarrow - Water Can - Trowel / Quest for Bids - Find your hidden treasure! This is NOT new, it was lovingly pre-owned, in VERY good condition. 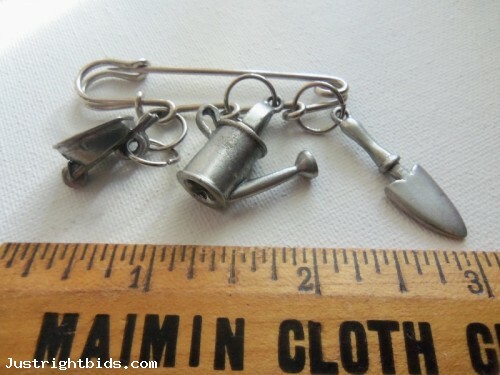 Has a pewter type finish.